Our tablets and smartphones have quickly replaced the traditional GPS mapping tools that had been so popular for the last decade. Our portable devices are now so powerful that they can easily replace these traditional devices. People use maps for different reasons: no matter what your reasons for using maps, the Map Plus app is a great way to consolidate your data for viewing both online and offline. It’s compatible with all the major mapping programs on the market as well. This is a free map app and it’s compatible with the iPhone, iPad, and iPod touch. There are other map editing and GPS navigation apps in the App Store but not with the versatility you’ll find in Map Plus. This versatile app allows you to import maps and directions from all your favorite programs like Google maps and Bing Maps. If you’re looking or a versatile program that’s still sufficiently powerful to satisfy your requirements Map Plus is a great choice. You can count on consistent results with this app that are unlikely to let you down. This app does include ads that are a little intrusive. They run along the top of the app and they’re very distracting while you’re trying to use the app. The idea may be to grab your attention but all they did for me was distract me to the point where I didn’t really want to use the app anymore, which was too bad because this app really does include some pretty good tools. The other problem with this app is that it doesn’t include an effective help section. Mapping apps and GPS direction apps can be a little complicated for the average user and the lack of instructions in an app that advertises itself as a tool that has the ability to operate across all the major platforms is a little puzzling. This app will require 16.9 MB of available space on your iOS device. When you open the app for the first time you’ll be greeted by a familiar-looking mapping application. This app will work as a mapping application all by itself, but it will also allow you to access other popular mapping applications. 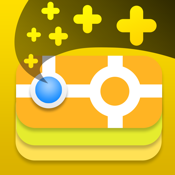 To access some other popular mapping applications you simply tap on the compass icon on the right-hand side. A cool feature of this app is its ability to quickly find your current location on the map at the tap of a button. All you have to do is tap on the directional arrow on the right-hand menu. The right-hand menu also includes a settings function which will allow you to download other popular maps, find driving directions, and search for popular places nearby. Map Plus is a versatile mapping application that’s compatible with all the major mapping applications. If you’re looking for some basic driving directions this app will help you with your needs, but it will do a lot more as well. This is an app with a lot of powerful tools.